If you’ve been around church at all, you know the story of Mary & Jesus in Luke 1 & 2, but when we hear stories that we know well is that we tend to switch into autopilot and miss the personal application. So on this Christmas day, let’s consider that familiar story again. Up until this point, Mary is just a teenage Jewish girl who is busy about her life, dreaming of her upcoming marriage and the new life in front of her. But God pursues Mary. He interrupts her life, and from this point forward, everything about her changed… her future, her plans, her ideas for marriage were dramatically altered in an instant. Now we’re tempted to think it must have been easy for her since, after all, she had an angel show up to tell her what was going to happen. But there was no angel for Joseph at first. He didn’t believe her story, and had decided to break their engagement. (Matt 1:19) God sent an angel to him in his dreams to set him straight. However, there were no angels for her parents, or friends, or other family members. This wasn’t an easy road for Mary. Just as He pursued Mary, we can be assured that God pursues us, too… He reserves the right to break into our lives and alter them in order to accomplish His will. Sometimes, like Mary, no one will believe us even though we know the Lord has spoken. The approval of others isn’t what should drive our decision making, instead when God speaks we need to believe and act on what He says. So God interrupts Mary’s life, and explains what’s about to happen to her. 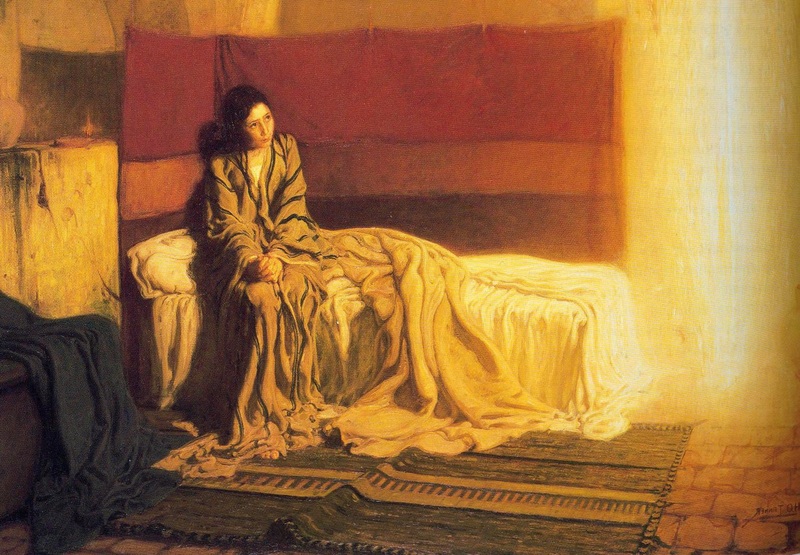 She answers with a question… “How will this be,” Mary asked the angel, “since I am a virgin?” (vs 34) She doesn’t doubt God, but questions herself. This is familiar territory for most of us. We honestly believe God can do anything, accomplish any task, change or transform any situation. The problem is often that we doubt ourselves. We know our attitudes, our failures, our shortcomings and our weaknesses too well. Our questions sound like this… How can this be since I am a just a mother, wife, a husband, an employer, or employee? How can this be since I am untrained, inexperienced, not well spoken or lacking resources? Sound familiar? We look within and really disbelieve that He can significantly use us or that we can become a part of what God is doing in the world. The angel gives Mary this affirmation as a reminder that God isn’t relying entirely, if at all, on her to do the work ahead of her. He says the same thing to us. He doesn’t want us to charge out and do anything by ourselves. We have to do our part, but He will be there to do through us, in us and for us what is necessary to get any God-inspired job done. In the midst of her questions, Mary surrenders her future, marriage, reputation, and even her body. At her surrender, God’s will unfolds. 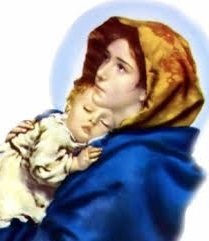 She was changed from a lowly teenage girl to the mother of our Lord, “highly esteemed” and “most favored.”. Most of us want to ask questions, get a transforming moment, and then surrender our lives to the Lord, but Mary’s life tells us that surrender always comes before transformation. This is a powerful statement that has equal application for us individually. Through this verse, God says to us … and this is so simple… Blessed are we when we believe what God says He will do. We must get to the point of simple belief in what God says, and not rely on our ability to make sense of it. Blessed is any person who believes the promises of God! In fact, He has endless possibilities but He is waiting for our belief and surrender. If you want more out of your relationship with the Lord, it is available. Ask Him for it, and believe He will give it. But be ready for surrender before the transformation. Would Mary have said what she gave up was worth what she gained? Absolutely! and if you could see the benefits and ultimate blessings of belief and surrender, you’d say the same. As you celebrate the birth of Christ, may the example of Mary’s surrender inspire you into a deeper walk with Her Son. I’ve also felt a kindred spirit with Mary in that I’m a ‘ponderer’ as well. I think as we meditate on His truth we are more able to surrender and then be transformed!! thanks for commenting!